Victoria Falls from the Zambezi side, a short walk from the Royal Livingstone Hotel. 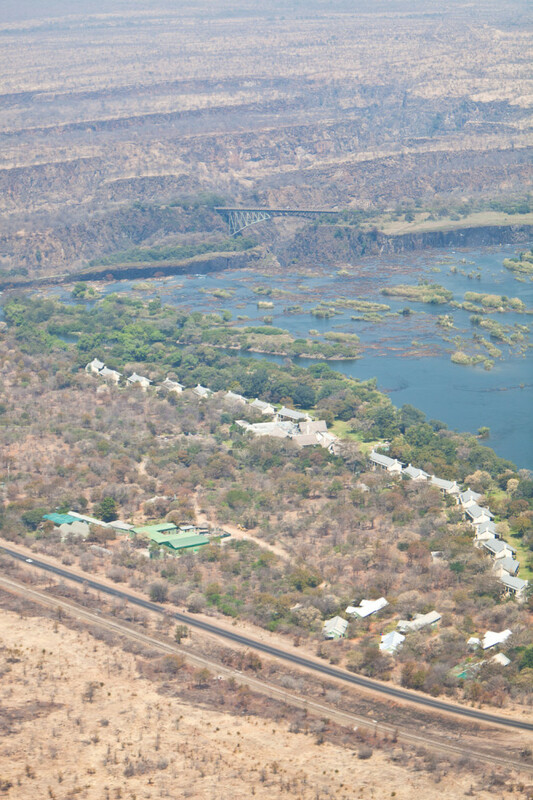 The famous Victoria Falls bridge. 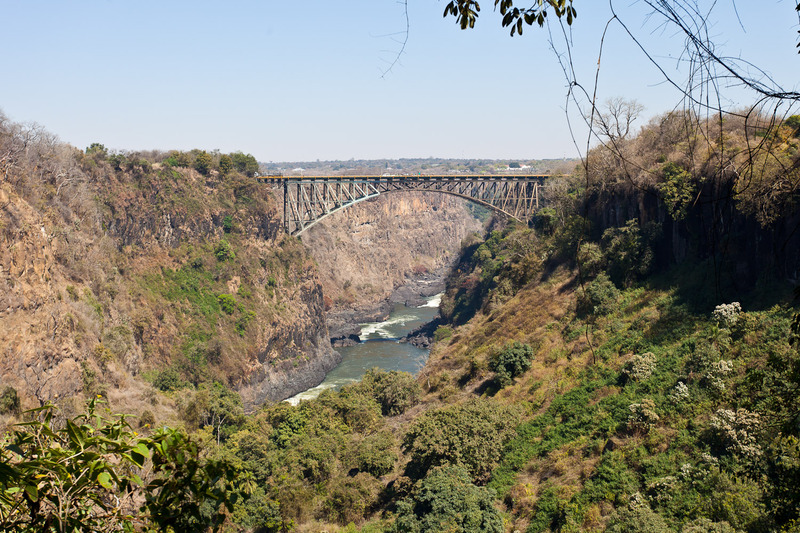 The brainchild of Cecil Rhodes, he instructed engineers to "build the bridge across the Zambezi where the trains, as they pass, will catch the spray of the Falls". There are tours available of the bridge. 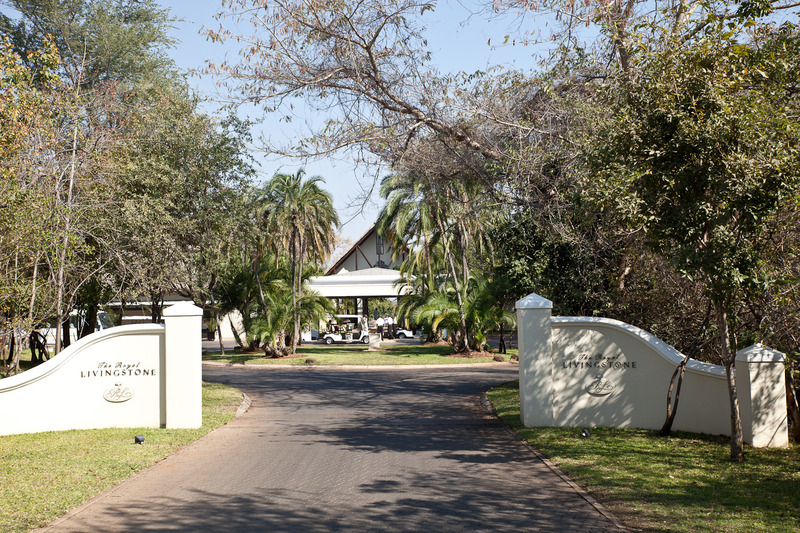 The entrance to the Royal Livingstone Hotel, Zambia. 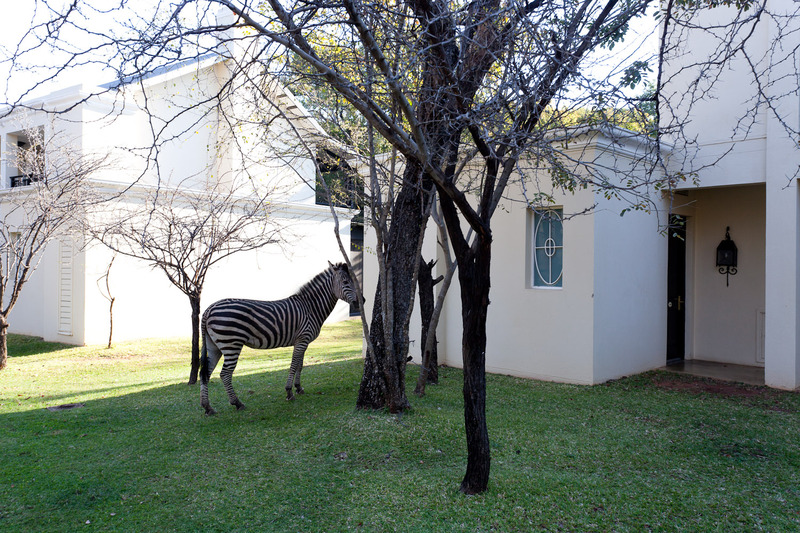 The hotel is located within its own game reserve, so children can entertain themselves chasing monkeys out of their bedroom or waiting for a zebra to meander by before they can leave their room. The Royal Livingston Hotel from the air. You can see the spray from Victoria Falls as well as the bridge in the distance. The "Sundeck" at the Royal Livingstone. If you look in the distance, you can see the mist rising from Victoria Falls. 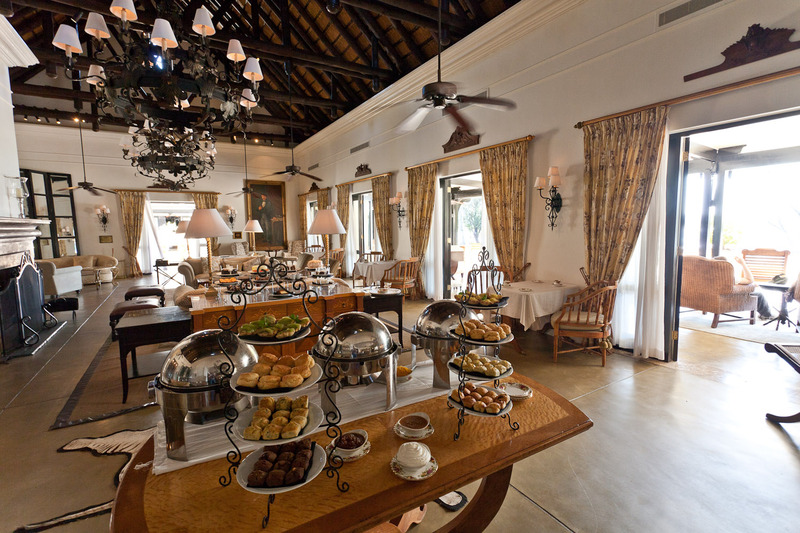 The décor inside the Royal Livingstone exudes colonial Africa, with large slow fans spinning overhead, campaign furniture, animal skins, the hint of cigar smoke, a very British bar and daily high tea ritual. All of the lavish suites here come with a private butler. Zebras roaming the grounds of the Royal Livingstone. The front lawn at the Royal Livingstone. Dining at night on the lawns of the Royal Livingstone Hotel. 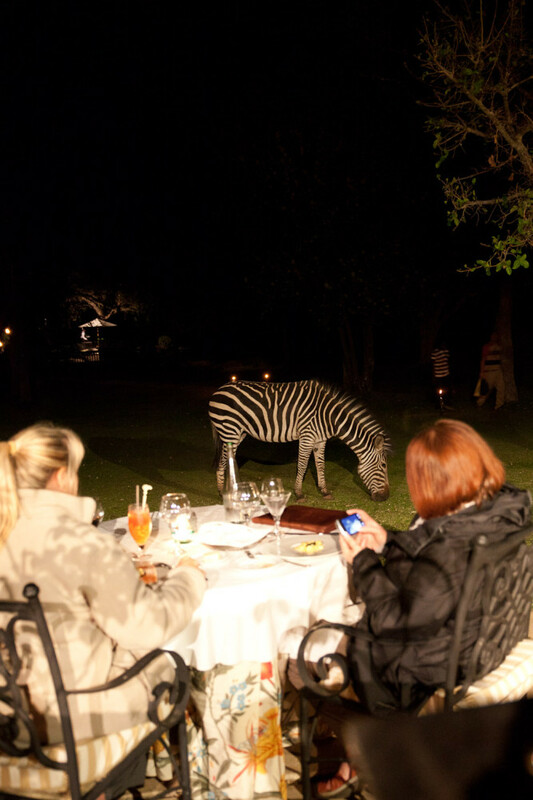 Zebras and all sorts of wildlife wander the lawns at night feeding. High tea here is a suitably royal affair. 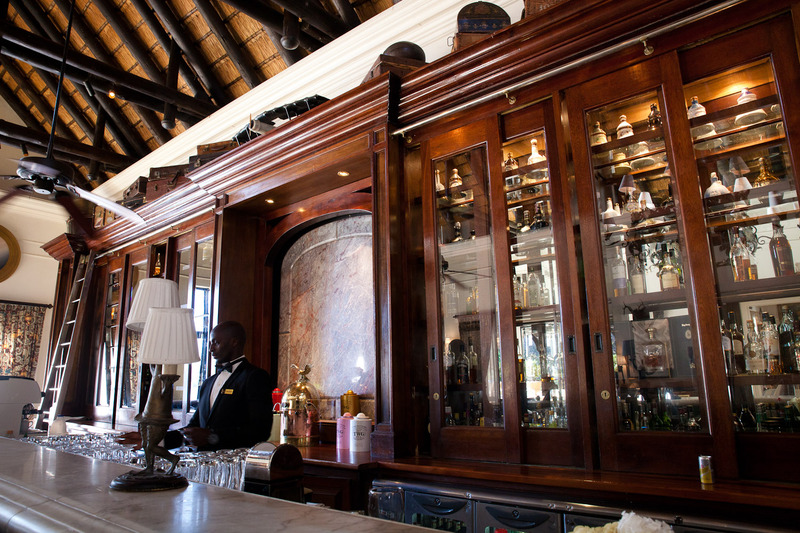 The charming old-worldly bar at the Royal Livingstone. 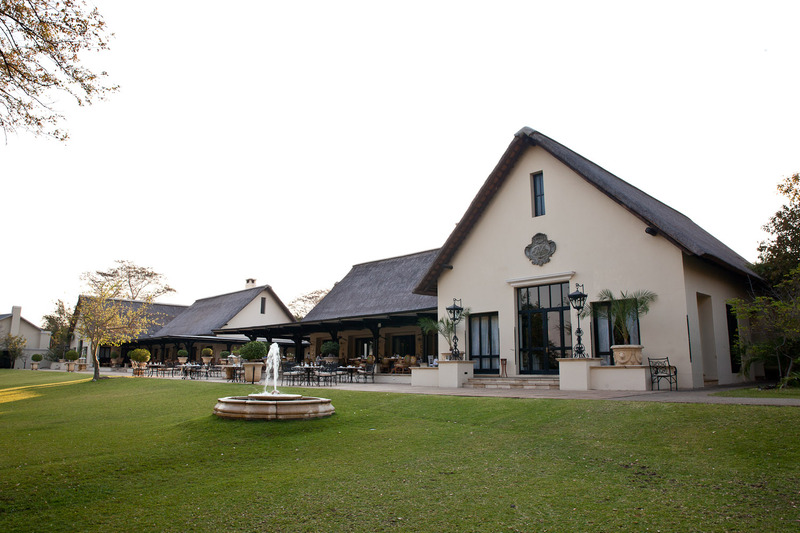 The lavish lounge verandah at the Royal Livingstone. 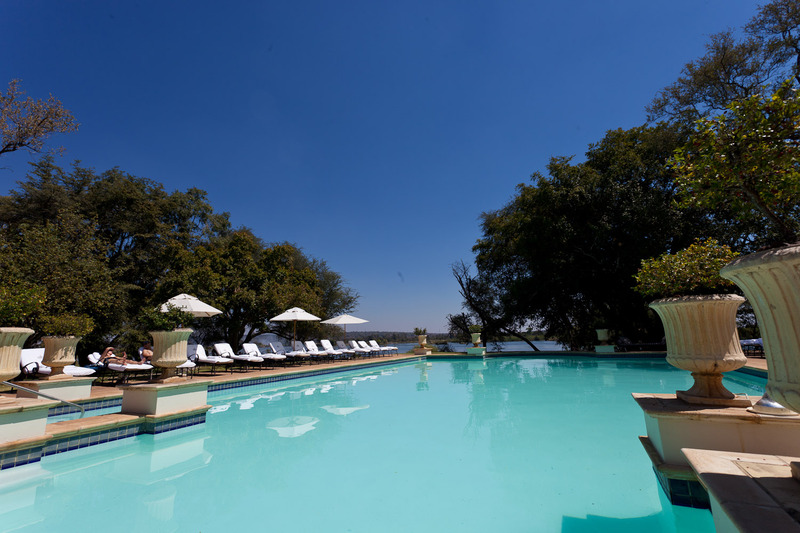 The pool at the Royal Livingstone. 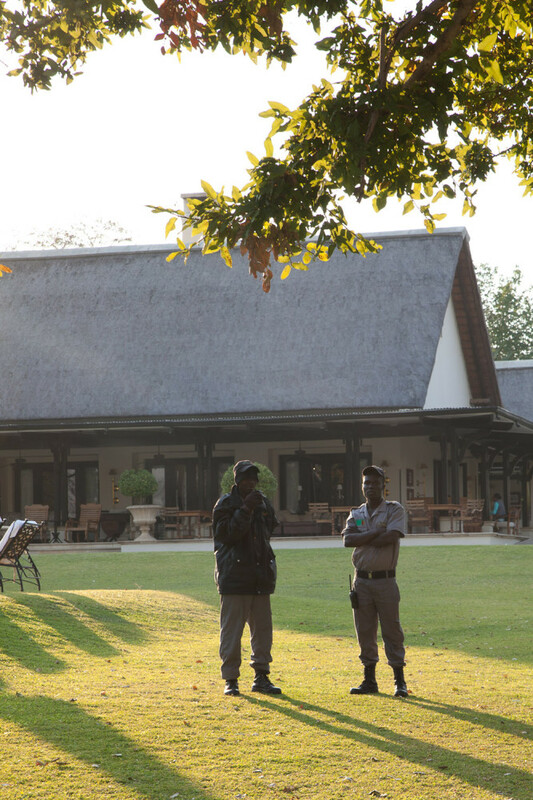 Security at the Royal Livingstone. One of the main jobs for these guys seems to be chasing monkeys out of guest rooms and anywhere else they go to make a nuisance. 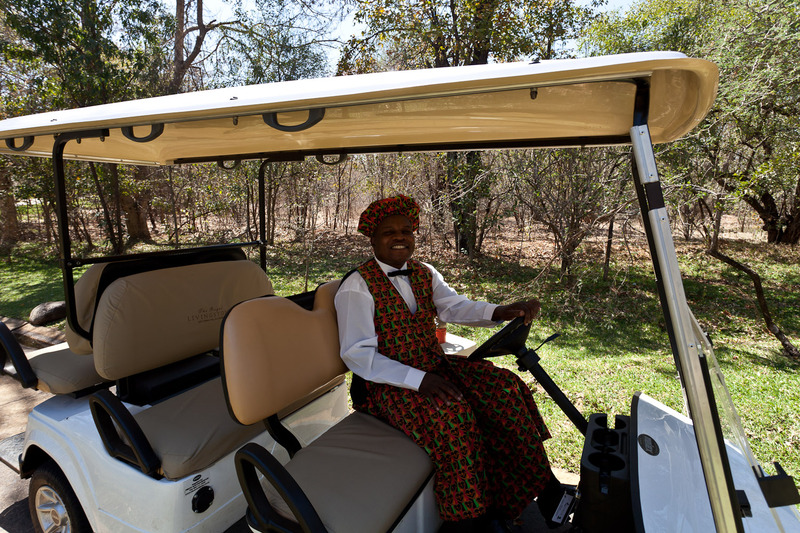 Staff at the Royal Livingstone get around the vast property in golf carts. 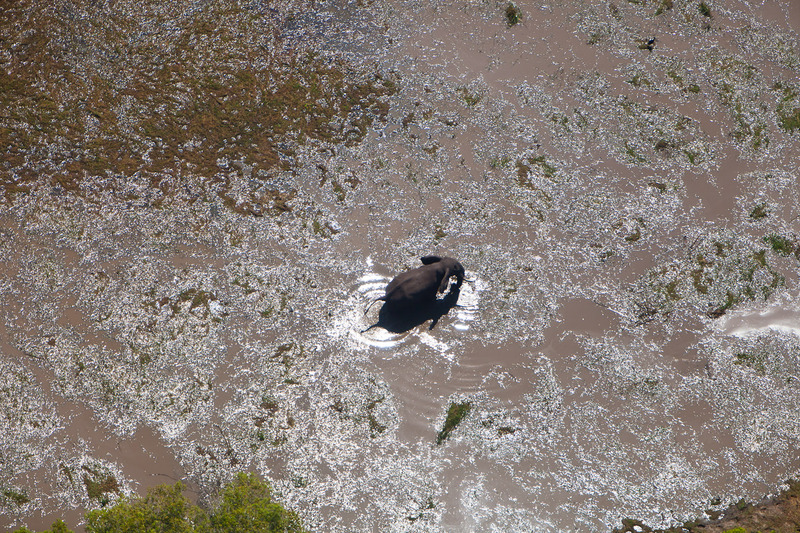 An elephant traversing the Zambezi River from the air. Zambia is a shining light on the African continent, a proud country with a population of very happy people. 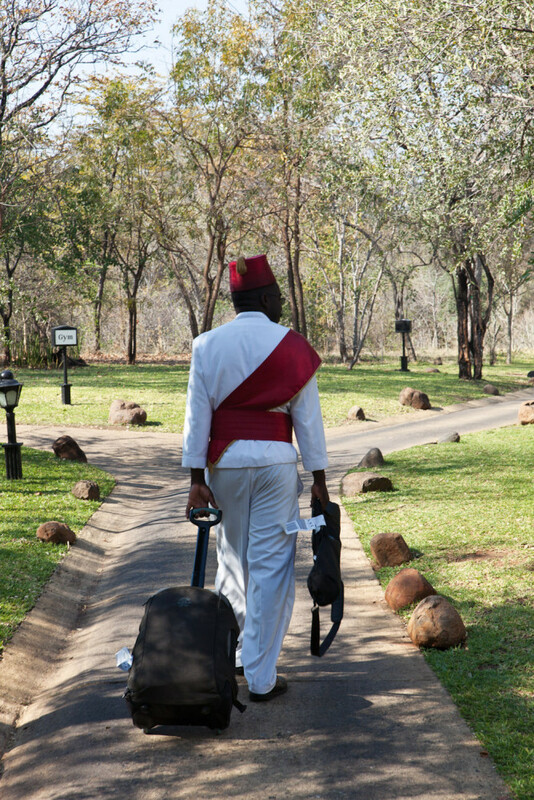 Nigel Herbert goes in search of his own personal bliss on the edge of Victoria Falls. My taxi driver is positively beaming. He has picked up a Muzungu from Livingstone Airport and he has his spiel down to a fine art. But strangely, the enthusiasm doesn’t feel forced. This man is excited and proud of his country. And it’s infectious. Having just flown in from the sprawling South African city of Johannesburg, Zambia instantly feels less threatening; less angry. Large parts of modern Africa can best be described as tense, but Zambia feels relaxed. It’s like I have just discovered Africa’s Queensland. And like Queensland, Zambia is a place of enormous mineral wealth and tourism potential. Unlike Queensland, Zambia is a landlocked country with, shall we say, ‘troublesome’ neighbours, like Angola and Zimbabwe. “We were originally known as Northern Rhodesia,” my enthusiastic taxi driver continues, “but in 1964 we gained our independence and Zambia was born.” His English is clipped; he tells me he is going to give me some ‘hints’ (tips) on Livingstone, the southern city named for the Scottish missionary and explorer David Livingstone (of the “Dr Livingstone, I presume” legend). He reels off the population of Zambia – 13 million at last count – and the population of Livingstone: a much more modest 200,000. He is genuinely happy to be here. In fact, looking out the window, I think everyone seems happy to be here. Like any African country, Zambia is a collision of vibrancy and income disparity, with shanty towns and slums surrounding a grand colonial nucleus. The streets are thronged with obscure makes of Chinese 4WDs beaten to within an inch of their life, surrounded by even older Toyota HiLux utes. Art and colour are everywhere: houses daubed in riotous hues; washing lines that look like a flagpole of the entire United Nations. But even amongst the maelstrom of day-to-day life, the calm remains. My taxi driver is taking me to The Royal Livingstone, one of the world’s great hotels, so I suspect he is expecting a healthy tip, which is fair enough. After all, this is a hotel that costs $500 a night and up. As you would imagine, that sort of money goes a long way in Africa, providing you with something truly amazing. And The Royal Livingstone definitely delivers. The hotel is spectacular, built as it is on the very edge of the thundering Victoria Falls, about eight kilometres from town. Designed around a duo of central pavilions with reception, lounges, a pool and dining areas, it feels secluded, gracious and dignified. All of the rooms are suites and with Anthony, my private butler (yes, you read right), looking after my every need, I feel like I’m sorted. The common areas seem to be filled with Forbes 500 CEOs spending quality time with their wives and children. The décor exudes colonial Africa, with large slow fans spinning overhead, campaign furniture, animal skins, the hint of cigar smoke, a very British bar and daily high tea ritual. 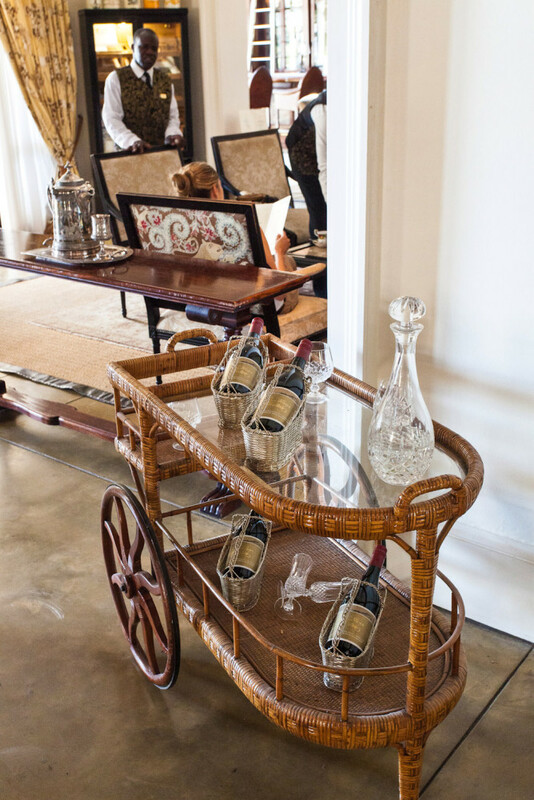 The hotel is also located within its own game reserve, so children can entertain themselves chasing monkeys out of their bedroom or waiting for a zebra to meander by before they can leave their room. 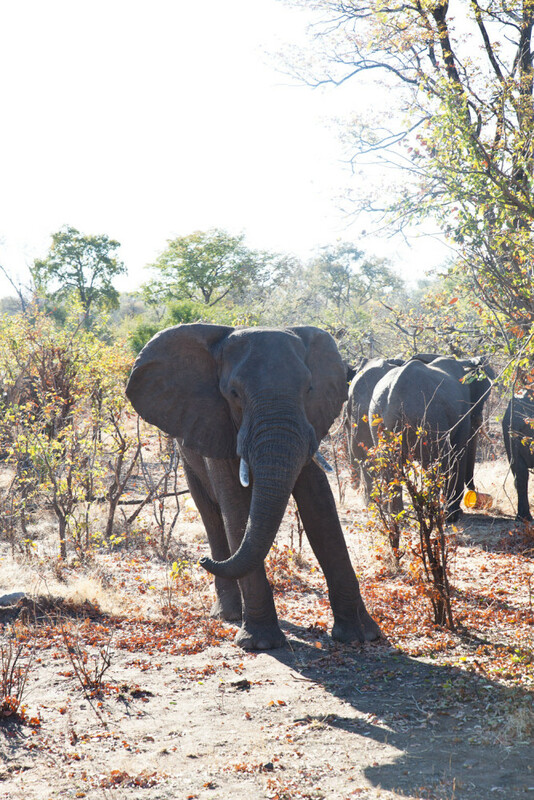 I also saw elephants and giraffes at close quarters during my stay. Of course, the main drawcard of the area are the roaring, frothing Victoria Falls, or Mosi-oa-Tunya (the Smoke that Thunders) in local parlance, which sits literally metres from the hotel. 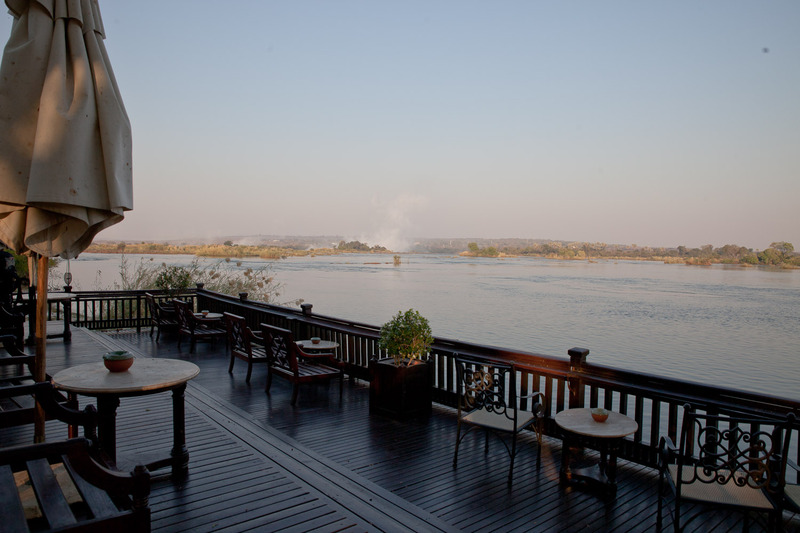 Look out across the mighty Zambezi river from anywhere in the hotel and you can see the mist rising. Accessing the falls is a matter of a two minute walk from the property; go through a small security gate and bang, there it is. One of the seven Natural Wonders of the World, Victoria Falls are twice as high as Niagara Falls and push more water over the edge than any other waterfall in the world. They truly are a sight to behold. The area is well signposted, but really, everyone is here for the same thing: to grab one of the numerous vantage points and get their photo taken with the falls in the background. As you look across the rising mist to Zimbabwe, you see giant Chinese tour groups doing exactly the same thing. The only things separating our like-minded pursuits are millions of tons of water and Victoria Falls Bridge, a beautiful structure that is almost as photographed as that big bridge back home in Sydney. While the UNESCO World Heritage falls makes this part of Zambia feel almost otherworldly, a short walk back to the hotel and I am again grounded in reality. While the CEO husbands love it here because it’s a great place to ‘disconnect’, after all that shared beauty and cross-cultural sightseeing, I feel totally connected to the world. So connected, in fact, that I just can’t resist the urge to buy something from China to be delivered to Australia while sitting by a pool in the middle of Africa. It felt like I was getting the best of both worlds, and that made me feel very privileged; happy even. Maybe I was starting to catch whatever it was my taxi driver had. And there it was. Zambia has been democratic and self governing for over 40 years and, compared to its neighbours on the African continent, that’s ancient. Zambians identify themselves as Zambian. They have found their identity. And they are very happy with it. Qantas flies daily to Johannesburg from Sydney, with flights from $2047 return. 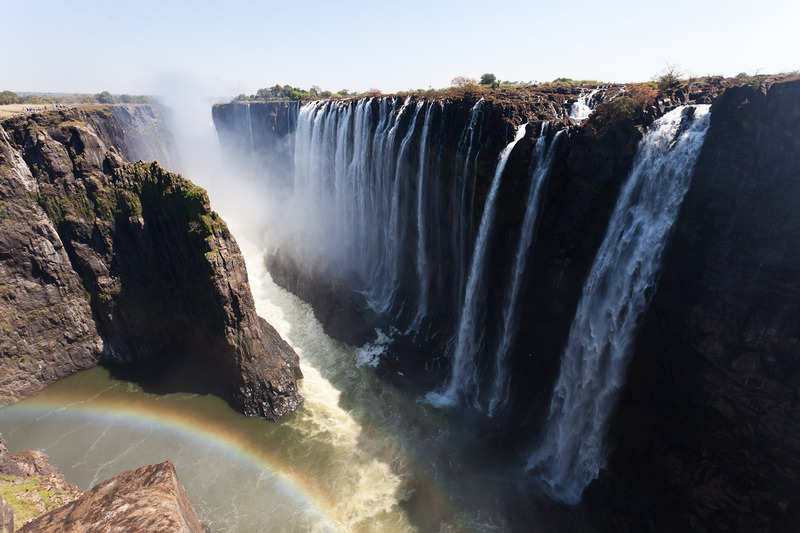 South African Airways flies daily from Johannesburg to Livingstone, Zambia, (taking just under two hours) with fares starting at $204 one-way. The dry season from May to August is the best time to visit, with daytime temperatures between 24–28°C and cool nights. Anything from the Maramba markets in Livingstone. There is plenty of art, with most of it starting out life as something completely different.